The RecyclerView class, delivered as part of the v7 support library suite, is an improved version of the ListView and the GridView classes provided by the Android framework. With the help of ItemTouchHelper class you can add swipe to dismiss, drag & drop support to RecyclerView. Swiping the row will remove the row from the RecyclerView, but it won’t refresh the data. You can see an empty row displayed on swiping the row. You have to take care of refreshing the list by removing the item from the adapter dataset. 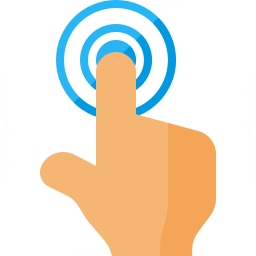 ItemTouchHelper is a utility class added in Android Support Library V7. This class helps to add swipe to dismiss and drag & drop support to RecyclerView. ItemTouchHelper class extends RecyclerView.ItemDecoration and implements RecyclerView.OnChildAttachStateChangeListener. In order to use ItemTouchHelper, you need to create ItemTouchHelper.Callback. This class lets you control the touch event like swipe and move by providing a callback for the same. It also provides the callback to override the default animation. It has a SimpleCallback class which configures what type of interactions are enabled and also receives events when user performs these actions (like swipe and drag). ItemTouchHelper.SimpleCallback provides certain callback methods like onMove(), onChildDraw(), onSwiped() when the row is swiped. Showing the background view, removing the item from adapter can be done using these callback methods. To implement Swipe to Dismiss behaviour in RecyclerView we have to override following methods of ItemTouchHelper.Callback. The first method we are going to discuss is getMovementFlags(RecyclerView, ViewHolder). RecyclerView: the RecyclerView to which ItemTouchHelper is attached. ViewHolder: the ViewHolder for which the movement information is necessary. flags specifying which movements are allowed on this ViewHolder. To specify in which direction you want to swipe, you have to override this method. makeMovementFlag(int, int) method provides convenience to create Movement flag. The second method we are going to discuss is onMove(RecyclerView, ViewHolder, ViewHolder). RecyclerView: the RecyclerView to which ItemTouchHelper is attached to. ViewHolder: the ViewHolder which is being dragged by the user. ViewHolder: the ViewHolder over which the currently active item is being dragged. true if the ViewHolder has been moved to the adapter position of the target. If you want to make any changes during dragging the RecyclerView item then you have to override this method. If this method returns true, ItemTouchHelper assumes item has been moved to the adapter position of target place. The final and important method for the swipe to dismiss is onSwiped(ViewHolder, int). ViewHolder: the ViewHolder which has been swiped by the user. int (direction): the direction to which the ViewHolder is swiped. It is one of UP, DOWN, LEFT or RIGHT. If your getMovementFlags(RecyclerView, ViewHolder) method returned relative flags instead of LEFT; RIGHT direction will be relative as well (START or END). I'm going to use Vector Asset for ic_add.xml, ic_edit.xml and ic_delete.xml resources. The main layout (activity_main.xml) has a RecyclerView with a FAB in CoordinatorLayout. The FAB is used to add items to RecyclerView list. The next layout is for RecyclerView list item (row_layout.xml). It has only a TextView to display item name. The following snippet is a RecyclerView.Adapter. I added two methods addItem() and removeItem() to add and remove data from RecyclerView. The notifyItemInserted() notify the adapter that a new data is inserted. Similarly notifyItemRemoved() notify about removal of data. And notifyItemRangeChanged() is for range change. The following activity implements simple example of swipe and drag n drop. In this section we'll build extended reaction to swipe (see screenshot below). In our Activity the AlertDialog is initialized using initDialog() method. Then we implement the custom Swipe view using the ItemTouchHelper.SimpleCallback class. Following is the layout (dialog_layout.xml) for Alert Dialog which is used to get input data to add and edit data. It has only a EditText widget. In following snippet the onChildDraw() method is used to draw custom view under the RecyclerView list item when swiped. Then we obtain the View object itemView from the RecyclerView.ViewHolder object. We can obtain the coordinates of top, bottom, right, left as float points using getTop(), getBottom(), getRight(), getLeft() methods. First we draw a rectange on Canvas which covers the whole item view in prefered color. Then we draw a VectorDrawable icon over that in specified location. The two vector asset are ic_edit.xml and ic_delete.xml.